The first threat is confirmation bias, the well-documented tendency of people to seek out and accept information that confirms their beliefs and prejudices. In a classic study of peer review, 75 psychologists were asked to referee a paper about the mental health of left-wing student activists. Some referees saw a version of the paper showing that the student activists’ mental health was above normal; others saw different data, showing it to be below normal. Sure enough, the more liberal referees were more likely to recommend publishing the paper favorable to the left-wing activists. When the conclusion went the other way, they quickly found problems with its methodology. Scientists try to avoid confirmation bias by exposing their work to peer review by critics with different views, but it’s increasingly difficult for liberals to find such critics. Academics have traditionally leaned left politically, and many fields have essentially become monocultures, especially in the social sciences, where Democrats now outnumber Republicans by at least 8 to 1. (In sociology, where the ratio is 44 to 1, a student is much likelier to be taught by a Marxist than by a Republican.) The lopsided ratio has led to another well-documented phenomenon: people’s beliefs become more extreme when they’re surrounded by like-minded colleagues. They come to assume that their opinions are not only the norm but also the truth. Groupthink has become so routine that many scientists aren’t even aware of it. Social psychologists, who have extensively studied conscious and unconscious biases against out-groups, are quick to blame these biases for the underrepresentation of women or minorities in the business world and other institutions. But they’ve been mostly oblivious to their own diversity problem, which is vastly larger. Democrats outnumber Republicans at least 12 to 1 (perhaps 40 to 1) in social psychology, creating what Jonathan Haidt calls a “tribal-moral community” with its own “sacred values” about what’s worth studying and what’s taboo. Last year, one of the leading scientific journals, Behavioral and Brain Sciences, published an article by Haidt and five colleagues documenting their profession’s lack of ideological diversity. It was accompanied by commentaries from 63 other social scientists, virtually all of whom, even the harshest critics, accepted the authors’ conclusion that the lack of political diversity has harmed the science of social psychology. The authors and the commentators pointed to example after example of how the absence of conservatives has blinded researchers to flaws in their work, particularly when studying people’s ideology and morality. Democrats outnumber Republicans at least 12 to 1 (perhaps 40 to 1) in social psychology. To combat these biases, more than 150 social scientists have joined Heterodox Academy, a group formed by Haidt and his coauthors to promote ideological diversity among scholars. That’s a good start, but they’re nowhere close to solving the problem. Even if social-science departments added a few conservatives, they’d still be immersed in progressive academic communities becoming less tolerant of debate because of pressure from campus activists and federal bureaucrats enforcing an ever-expanding interpretation of Title IX. And their work would still be filtered to the public by reporters who lean left, too—that’s why the press has promoted the Republican-war-on-science myth. When Obama diplomatically ducked a question on the campaign trail about the age of the Earth (“I don’t presume to know”), the press paid no attention. When Marco Rubio later did the same thing (“I’m not a scientist”), he was lambasted as a typical Republican ignoramus determined to bring back the Dark Ages. The Left’s most rigid taboos involve the biology of race and gender, as the Harvard psychologist Steven Pinker chronicles in The Blank Slate. The book takes its title from Pinker’s term for the dogma that “any differences we see among races, ethnic groups, sexes, and individuals come not from differences in their innate constitution but from differences in their experiences.” The dogma constricts researchers’ perspective—“No biology, please, we’re social scientists”—and discourages debate, in and out of academia. Early researchers in sociobiology faced vitriolic attacks from prominent scientists like Stephen Jay Gould, who accused them of racism and sexism for studying genetic influences on behavior. Studying IQ has been a risky career move since the 1970s, when researchers like Arthur Jensen and Richard Herrnstein had to cancel lectures (and sometimes hire bodyguards) because of angry protesters accusing them of racism. Government funding dried up, forcing researchers in IQ and behavioral genetics to rely on private donors, who in the 1980s financed the renowned Minnesota study of twins reared apart. Leftists tried to cut off that funding in the 1990s, when the University of Delaware halted the IQ research of Linda Gottfredson and Jan Blits for two years by refusing to let them accept a foundation’s grant; the research proceeded only after an arbitrator ruled that their academic freedom had been violated. The work of left-wing population alarmists inspired China’s monstrous one-child policy, which included forced abortions and infanticide. The Blank Slate dogma has perpetuated a liberal version of creationism: the belief that there has been no evolution in modern humans since they left their ancestral homeland in Africa some 50,000 years ago. Except for a few genetic changes in skin color and other superficial qualities, humans everywhere are supposedly alike because there hasn’t been enough time for significant differences to evolve in their brains and innate behavior. This belief was plausible when biologists assumed that evolution was a slow process, but the decoding of the human genome has disproved it, as Nicholas Wade (a former colleague of mine at the New York Times) reported in his 2015 book, A Troublesome Inheritance. “Human evolution has been recent, copious and regional,” writes Wade, noting that at least 8 percent of the human genome has changed since the departure from Africa. The new analysis has revealed five distinguishable races that evolved in response to regional conditions: Africans, East Asians, Caucasians, the natives of the Americas, and the peoples of Australia and Papua New Guinea. Yet social scientists go on denying the very existence of races. The American Anthropological Association declares race to be “a human invention” that is “about culture, not biology.” The American Sociological Association calls race a “social construct.” Even biologists and geneticists are afraid of the R-word. More than 100 of them sent a letter to the New York Times denouncing Wade’s book as inaccurate, yet they refused to provide any examples of his mistakes. They apparently hadn’t bothered to read the book because they accused Wade of linking racial variations to IQ scores—a link that his book specifically rejected. Some genetic differences are politically acceptable on the left, such as the biological basis for homosexuality, which was deemed plausible by 70 percent of sociologists in a recent survey. But that same survey found that only 43 percent accepted a biological explanation for male-female differences in spatial skills and communication. How could the rest of the sociologists deny the role of biology? It was no coincidence that these doubters espoused the most extreme left-wing political views and the strongest commitment to a feminist perspective. To dedicated leftists and feminists, it doesn’t matter how much evidence of sexual differences is produced by developmental psychologists, primatologists, neuroscientists, and other researchers. Any disparity between the sexes—or, at least, any disparity unfavorable to women—must be blamed on discrimination and other cultural factors. Former Harvard president Lawrence Summers found this out the hard way at an academic conference where he dared to discuss the preponderance of men among professors of mathematics and physical sciences at elite universities. While acknowledging that women faced cultural barriers, like discrimination and the pressures of family responsibilities, Summers hypothesized that there might be other factors, too, such as the greater number of men at the extreme high end in tests measuring mathematical ability and other traits. Males’ greater variability in aptitude is well established—it’s why there are more male dunces as well as geniuses—but scientific accuracy was no defense against the feminist outcry. The controversy forced Summers to apologize and ultimately contributed to his resignation. Besides violating the Blank Slate taboo, Summers had threatened an academic cottage industry kept alive by the myth that gender disparities in science are due to discrimination. This industry, supported by more than $200 million from the National Science Foundation, persists despite overwhelming evidence—from experiments as well as extensive studies of who gets academic jobs and research grants—that a female scientist is treated as well as or better than an equally qualified male. In a rigorous set of five experiments published last year, the female candidate was preferred two-to-one over an equivalent male. The main reason for sexual disparities in some fields is a difference in interests: from an early age, more males are more interested in fields like physics and engineering, while more females are interested in fields like biology and psychology (where most doctorates go to women). On the whole, American women are doing much better than men academically—they receive the majority of undergraduate and graduate degrees—yet education researchers and federal funders have focused for decades on the few fields in science where men predominate. It was bad enough that the National Science Foundation’s grants paid for workshops featuring a game called Gender Bias Bingo and skits in which arrogant male scientists mistreat smarter female colleagues. But then, these workshops nearly became mandatory when Democrats controlled Congress in 2010. In response to feminist lobbying, the House passed a bill (which fortunately died in the Senate) requiring federal science agencies to hold “gender equity” workshops for the recipients of research grants. It might seem odd that the “party of science” would be dragging researchers out of the lab to be reeducated in games of Gender Bias Bingo. But politicians will always care more about pleasing constituencies than advancing science. This was all very flattering to scientists, one reason that so many of them leaned left. The Right cited scientific work when useful, but it didn’t enlist science to remake society—it still preferred guidance from traditional moralists and clerics. The Left saw scientists as the new high priests, offering them prestige, money, and power. The power too often corrupted. Over and over, scientists yielded to the temptation to exaggerate their expertise and moral authority, sometimes for horrendous purposes. Drawing on research into genetics and animal breeding from scientists at Harvard, Yale, Johns Hopkins, and other leading universities, the eugenics movement of the 1920s made plans for improving the human population. Professors taught eugenics to their students and worked with Croly and other progressives eager to breed a smarter society, including Theodore Roosevelt, Woodrow Wilson, and Margaret Sanger. Eventually, other scientists—notably, in England—exposed the shoddy research and assumptions of the eugenicists, but not before the involuntary sterilization or castration of more than 35,000 Americans. Even after Hitler used eugenics to justify killing millions, the Left didn’t lose its interest in controlling human breeding. Eugenicist thinking was revived by scientists convinced that the human species had exceeded the “carrying capacity” of its ecosystem. The most prominent was Paul Ehrlich, whose scientific specialty was the study of butterflies. Undeterred by his ignorance of agriculture and economics, he published confident predictions of imminent global famine in The Population Bomb (1968). Agricultural economists dismissed his ideas, but the press reverently quoted Ehrlich and other academics who claimed to have scientifically determined that the Earth was “overpopulated.” In the journal Science, ecologist Garrett Hardin argued that “freedom to breed will bring ruin to all.” Ehrlich, who, at one point, advocated supplying American helicopters and doctors to a proposed program of compulsory sterilization in India, joined with physicist John Holdren in arguing that the U.S. Constitution would permit population control, including limits on family size and forced abortions. Ehrlich and Holdren calmly analyzed the merits of various technologies, such as adding sterilants to public drinking water, and called for a “planetary regime” to control population and natural resources around the world. Environmental science has become so politicized that its myths endure even after they’ve been disproved. The dietary-fat debate is a case study in scientific groupthink—and in the Left’s techniques for enforcing political orthodoxy. From the start, prominent nutrition researchers disputed fat’s link to heart disease and criticized Washington for running a dietary experiment on the entire population. But they were dismissed as outliers who’d been corrupted by corporate money. At one hearing, Senator McGovern rebutted the skeptics by citing a survey showing that low-fat diet recommendations were endorsed by 92 percent of “the world’s leading doctors.” Federal bureaucrats and activists smeared skeptics by leaking information to the press about their consulting work with the food industry. One skeptic, Robert Olson of Washington University, protested that during his career, he had received $250,000 from the food industry versus more than $10 million from federal agencies, including ones promoting low-fat diets. If he could be bought, he said, it would be more accurate to call him “a tool of government.” As usual, though, the liberal press focused only on corporate money. These same sneer-and-smear techniques predominate in the debate over climate change. President Obama promotes his green agenda by announcing that “the debate is settled,” and he denounces “climate deniers” by claiming that 97 percent of scientists believe that global warming is dangerous. His statements are false. While the greenhouse effect is undeniably real, and while most scientists agree that there has been a rise in global temperatures caused in some part by human emissions of carbon dioxide, no one knows how much more warming will occur this century or whether it will be dangerous. How could the science be settled when there have been dozens of computer models of how carbon dioxide affects the climate? And when most of the models overestimated how much warming should have occurred by now? These failed predictions, as well as recent research into the effects of water vapor on temperatures, have caused many scientists to lower their projections of future warming. Some “luke-warmists” suggest that future temperature increases will be relatively modest and prove to be a net benefit, at least in the short term. The long-term risks are certainly worth studying, but no matter whose predictions you trust, climate science provides no justification for Obama’s green agenda—or anyone else’s agenda. Even if it were somehow proved that high-end estimates for future global warming are accurate, that wouldn’t imply that Greens have the right practical solution for reducing carbon emissions—or that we even need to reduce those emissions. Policies for dealing with global warming vary according to political beliefs, economic assumptions, social priorities, and moral principles. Would regulating carbon dioxide stifle economic growth and give too much power to the state? Is it moral to impose sacrifices on poor people to keep temperatures a little cooler for their descendants, who will presumably be many times richer? Are there more important problems to address first? These aren’t questions with scientifically correct answers. That’s the ultimate casualty in the Left’s war: scientists’ reputations. Bad research can be exposed and discarded, but bad reputations endure. Social scientists are already regarded in Washington as an arm of the Democratic Party, so their research is dismissed as partisan even when it’s not, and some Republicans have tried (unsuccessfully) to cut off all social-science funding. The physical sciences still enjoy bipartisan support, but that’s being eroded by the green politicking, and climate scientists’ standing will plummet if the proclaimed consensus turns out to be wrong. To preserve their integrity, scientists should avoid politics and embrace the skeptical rigor that their profession requires. They need to start welcoming conservatives and others who will spot their biases and violate their taboos. Making these changes won’t be easy, but the first step is simple: stop pretending that the threats to science are coming from the Right. Look in the other direction—or in the mirror. Matthew Hennessey: In his 2009 inaugural address, President Barack Obama promised to restore science to what he called its rightful place. The implication, of course, was that under Republican President George W. Bush, science had been forced to take a backseat. As evidence that Republicans are allegedly anti-science, Democrats like Obama point to polls showing Conservatives harboring skepticism about man-made climate change as well as to the religious views of traditional Christians who make up a sizeable percentage of the GOP base. The accepted narrative about anti-science Conservatives and science-loving progressives aside, who is actually holding back scientific progress today? I’m Matthew Hennessey. Joining me to discuss the politics of science is John Tierney. John is a contributing editor at City Journal, and before joining us here he was a reporter and a columnist for many years at the New York Times. His piece in the Autumn issue of City Journal was titled The Real War on Science. John, thank you for joining me on the 10 Blocks Podcast. Matthew Hennessey: You say in your piece that while Conservatives are often accused of being anti-science, it’s actually the Left that has waged a war on science. What do you mean by that? John Tierney: If you look at who has actually impeded scientific progress, virtually all the threats come from the Left. Now, as Democrats like to say, there are a lot of Republican creationists. There also happen to be a lot of Democratic creationists, too. But they don’t affect the way science is done. I mean anthropologists and biologists you know, just do their own research and they accept the theory of evolution. And basically, Conservatives and Republicans you know, they accept science you know, when it’s useful to them the way both people do, the way both parties will use science to their own and cite it when it’s convenient. But it’s really the Left that is more invested in politicizing science and using it to support their agenda. And if you look I mean it’s just very hard that if you look at books like the Republican War on Science by Chris Mooney, this bestseller that kind of helped establish this meme, if you actually read the book you can’t find anything in there that Conservatives actually did that affected science. You can find a lot of examples of Republicans who don’t buy Democratic policies and don’t justify those things, but if you really look into the threats on science the only ones that are in the book he cites are for instance the Left’s opposition to genetically modified foods, the Left’s opposition to animal research, and basically the refusal of the Left to accept the genetic basis for behavior. Matthew Hennessey: We’ll get into some of that, but let’s start with some of the definitional issues. You talk a lot in your piece about the problem of confirmation bias. Perhaps for some of our less savvy scientific listeners you might explain what that means and how it affects scientific outcomes in research, for instance. John Tierney: Confirmation bias is a well-known, well-documented tendency that everyone has which is to seek out and to believe things that confirm your own opinions and your own beliefs. And scientists are just as vulnerable to it as anyone else. The way scientists try to avoid it is you get you know, someone else to review your work, you get skeptics to look at it, people with different points of view. The problem with science now and particularly in social science is that there are virtually no Conservatives around anymore. That you know, in some fields it’s like 12 to 1, maybe 40 to 1, Liberals you know, to Conservatives. So it’s basically Liberals reviewing their own work. And John Haidt is a social psychologist at NYU who has done a lot of work on this and he and some other prominent social psychologists are very concerned now that their field has really been hurt by this. And they published a sort of landmark article last year pointing out all the bad research that had gotten through because basically it was all Liberals writing about you know, Liberal beliefs and ideas and nobody was challenging it. For instance, you know one of the ideas that has gotten circulated a lot that feeds into this you know, idea that Republicans are anti-science, there have been you know, a bunch of research suggesting that Conservatives are close-minded, that they are prejudiced, that they’re irrational and cling to their beliefs you know, but it turns out when people look at that closely, they ask people about things but dogma is like religion that matter to Conservatives but not to Liberals. And they never occur to them to ask Liberals questions that matter to them like if you ask Liberals about Barack Obama or about environmental beliefs, they are just as dogmatic and just as irrational as conservatives are. 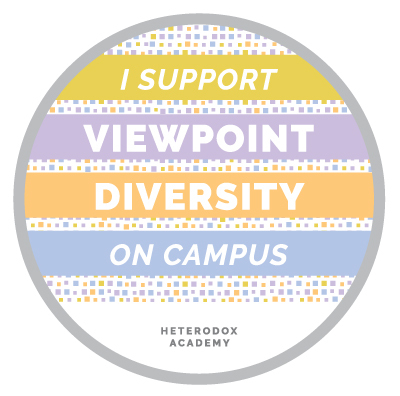 Matthew Hennessey: What is the Heterodox Academy? John Tierney: That is this group started by John Haidt and some other scholars who wrote this article and they now have about 150 – some very prominent social psychologists and scientists are in it. And what they are trying to do is promote diversity and ideas. You know it’s very bizarre. The social psychologists are the field that is obsessed with bias and obsessed with, you know, with diversity and whenever they see an industry or an institution that seems to have a shortage of women or minorities they immediately look for bias and assume that there’s some problem here. But their own problem with political diversity is far greater. There are virtually no Liberals in social psychology. And you know, they have a field that is now biased against that. I mean if you are a graduate student or you are thinking about becoming a graduate student and your beliefs are conservative, people really think well why would I spend four or five years of my life and try to get tenure from a bunch of people who are going to disagree with my politics and are going to hold it against me, and so that’s what has happened there. So this is a group that is trying to encourage more open-mindedness and to get people from both sides doing research. Matthew Hennessey: Now you say the most rigid, shall we say, taboos in science, involve questions about the biology of race and gender. Can you explain briefly what has been called the Left’s blank slate theory and how it relates how to the Left’s politics around science? John Tierney: Well the Left, it has got its own sacred values. And race and gender you know, there are these ideas that we have to defend minorities, we have to defend women, and that we can’t explain any differences as being based in biology. So, the blank slate is Steven Pinker’s term for the idea that all differences between any two groups of people must be due to social factors, discrimination, cultural factors, but in fact what has been happening over the last decades is this wealth of information from studying DNA, from studying genetics, from you know, studies of twins raised apart, that there are these enormously important genetic factors but the Left simply, you know, wants to pretend that they don’t exist. It’s quite bizarre. They accept some things, like they will – you know most sociologists in one survey accepted the idea that there could be a genetic basis for homosexuality. That’s politically correct to say. But these same sociologists deny that there are differences between male and female brains. And you know there is this wealth of evidence, whether you study children, whether you study neuroscience, whether you look at primates, you know, other primates, that there are hormonal and structural differences in the brain, there are these very well-documented differences in behavior that you see in cultures around the world and yet to the Left that’s just heresy. So we have to pretend that there’s no difference between men and women, that there’s no difference between you know, genetically different people. Matthew Hennessey: What role did the decoding of the human genome play here? Did it disrupt certain established beliefs about human evolution and how we got where we are or has that not really mattered much? John Tierney: It actually has. There was a longstanding belief by the Left that there hasn’t been any evolution, really, since we left Africa about 50,000 years ago. You know, this is when humans left and the idea is that a few superficial things like skin color have changed, but otherwise there hasn’t been enough time for evolution to really you know, make any important difference in the way the brain works, the way people behave. But the decoding of DNA has shown that that’s not true, that there’s actually been a great deal of evolution that at least 8% of the genome has changed since we left Africa and the decoding of the genome has – it is very clear from that, you can see five distinguishable races. But among sociologists and among other academics on the Left they you know, their official position is there is no such thing as race. Matthew Hennessey: It’s a social construct. John Tierney: Right, it’s a social construct and therefore we can’t study it, we can’t talk about it. And it really hinders social scientists and their attempt to understand behavior because when you’ve written off this huge part of humanity, of the human body, of the human brain, then you’re basically you know, left to try and explain any differences as a result of discrimination or the evil patriarchy or some other social institutions. Matthew Hennessey: Okay, so finally let’s get down to the hottest topic of them all, climate change. It’s obviously one of the most important, dearest causes to the science-loving Progressive community. Now, leaving aside questions about the dangers that it may or may not cause, how has the Progressive Left stifled debate about climate change? John Tierney: The problem is that they have conflated the idea that there is a greenhouse effect, that the world has been warming, and that humans have contributed to this, which you know, most scientists do accept that. But they have conflated that and tried to use that to exploit science for basically their own political ends the way that Progressives have always done, going back to the ’20s. And basically, that if you believe that the greenhouse effect is real therefore you must accept the agenda that we have to reduce you know, greenhouse emissions, that we have to do it in certain way that the Greens want to do it with windmills and solar panels, that we have to have these international treaties, and that it basically doesn’t – and they avoid two questions, which is even if the world is warming, is it dangerous? We don’t really know that. And second, if it is warming, what is the best way to do that? And it can be argued you know, very strongly I think, that most of these solutions proposed by the left are ineffectual, that they are enormously expensive, that they hurt poor people especially, and that they are going to do very little to combat this problem. But it’s become this you know, there’s this attempt to enlist science to support their own belief in basically we want a bigger government regulating more things and if you don’t accept that then you are against science. And that’s terrible for science when scientists feel they have to support a party line in order to, instead of really debating you know, how much climate change is going on and what’s the best way to deal with it. Matthew Hennessey: John Tierney, thank you for being my guest on the 10 Blocks Podcast. Don’t forget to check out John’s work at the City Journal website, www.city-journal.org. We’d also love to hear your comments about today’s episode on Twitter. We are @CityJournal with the hashtag #10Blocks. Lastly, if you like this podcast and you want to hear more, please leave ratings and reviews on iTunes. Thank you for listening and thank you, John Tierney, for joining me. John Tierney: Thank you Matt. Matthew Hennessey: I am Matthew Hennessey, this has been the 10 Blocks Podcast.